Beginning at 2 p.m. These organizations will have booths set up displaying information about their work and giving you a chance to interact with their representatives individually. 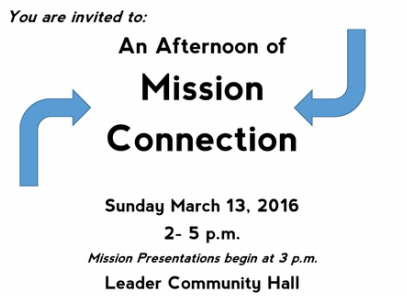 Beginning at 3 p.m. Each organization will have 5-10 minutes to share about their work and what God is doing through their ministry.